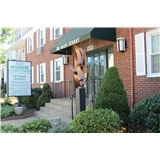 NK Family Dentistry (Waltham) - Book Appointment Online! NK Family Dentistry is committed to making you our number one priority. We care for you with the same integrity and expertise that we would for our own family. Whether it is your child's first visit or a throbbing toothache, we are dedicated to provide prompt and gentle care. Our team will do our best to make your dental experience as comfortable as possible. Beyond, providing optimal care, we also strive to educate our patients and practice preventative dentistry. We want to empower you as to how to best care for your own dental health which is often a reflection of your overall health. Kirsten is a top level professional, and one of the best dentists I've ever had. Her consultation is always with the client's best intentions in mind. My teeth have never looked better and it's all thanks to her.